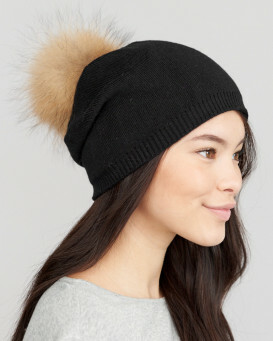 Look cute and flirty with our Ky Double Pom Pom Beanie in Black for her. 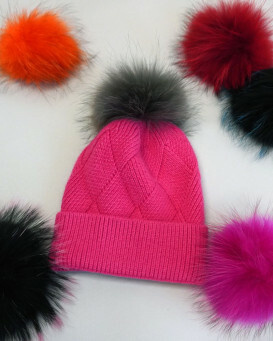 The chic winter design features two large dyed black Finn Raccoon pom poms that can be detached. 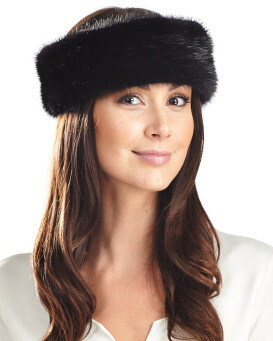 The black shell is composed with a mix of blends including lush Angora and Nylon. 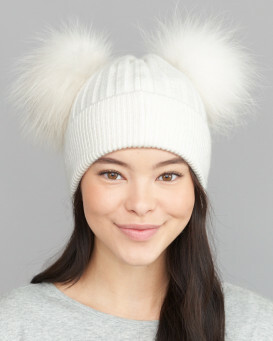 The unlined appeal is one size fits all and can be a special gift for Christmas. A stretchy effect features a fold over adjustable cuff. 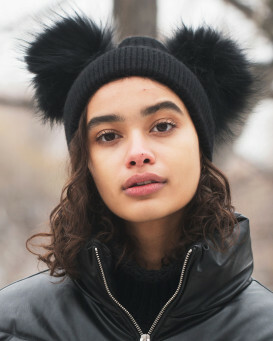 The cheeky style is a great casual accessory for a winter walk in the snow and the classic black colored fur goes with just about any outfit!